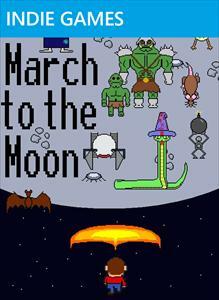 I refused to believe that March to the Moon was a shooter until I played it. It doesn’t look like one, and for a while it doesn’t feel like one either. Be in no doubt, though: March to the Moon is resolutely a game about shooting swarms of enemies as you trudge stoically up the screen. Fortunately, this isn’t all it is. The thing that really threw me was how much of an RPG the game appears to be at first glance. 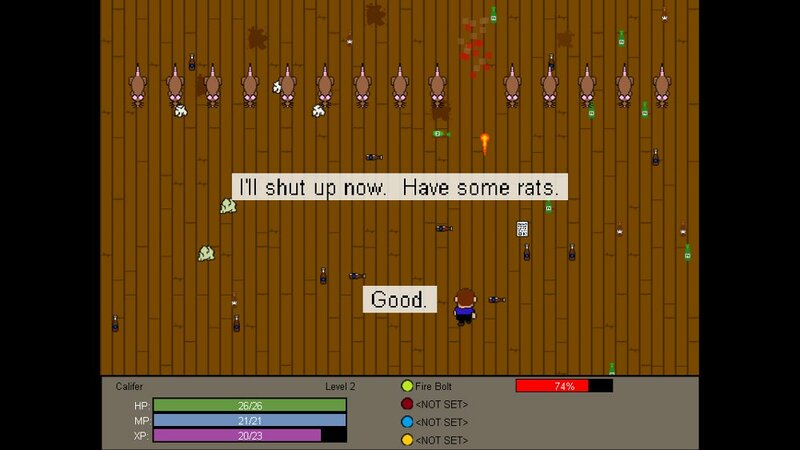 You control a person who walks through various quest-like environments fighting rats, goblins and aliens. You have access to a variety of spells which you unlock and upgrade as you gain levels through experience points. It’s almost as though someone set out to make a simple, traditional console RPG of the type that seldom works well on XBLIG, then suddenly decided shooters are better but didn’t want to waste all that work. The premise is basic. You are a person who, Morrowind-style, has been asked to exterminate some pesky rats that are infesting a cellar. That’s about it, really. Once the cellar is under control you find more and more layers of infestation leading into the sewers and even space, and the rats will swap places with aliens and robots, but it’s basically the same mission just getting more and more difficult. None of that really blew me away, nor did the slow and deliberate pace. The levels progress in their forced vertical scrolling at a very methodical plod, which works perfectly fine but doesn’t create a particularly dazzling first impression. Where March to the Moon blindsided me and really raised its game was in the skill system. Unlike shooters in general, there’s a lot of freedom here to build your little warrior exactly the way you want to, including badly. You choose one career path at the outset, from which you can choose several skills to assign points to. 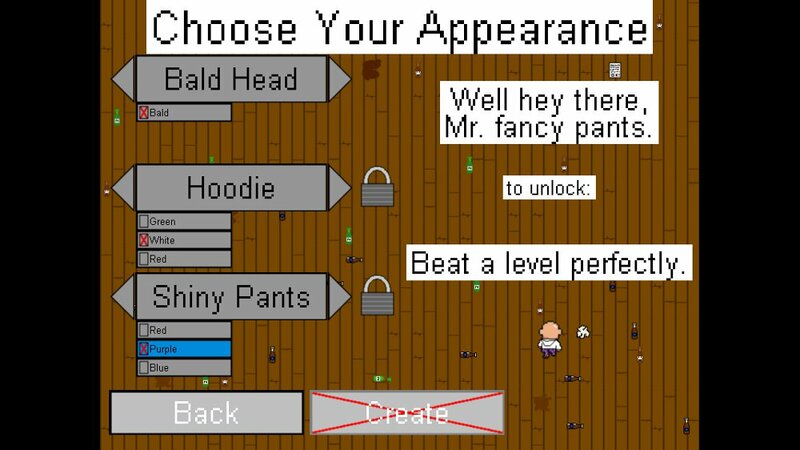 After you’ve gained a few character levels you can choose a second career path to add to the first, giving you a whole new set of skills to acquire. This makes a huge difference to the way you play the game, as some paths are combat centric, some focus on passive buffs, some involve summoning creatures, and various other functions. You’re free to choose whichever you like, and although picking up summoning and healing will leave you inconveniently unable to fight properly, it’s refreshing to have the chance. Like the aforementioned Morrowind (which I wouldn’t have expected to reference in an indie shooter review) you’re at liberty to mess up your character build without the developer slapping you on the wrist, and when you figure out a build that works for you it feels more satisfying as a result. It’s your build, that you created to suit you. March to the Moon’s developer wasn’t cavalier about including this freedom. Unlike the now-excessively-referenced Bethesda classic RPG, your ill-advised rat-hunting Summoner-Healer build isn’t irreversible. Once you realise that relying on your pet wolf to fight for you is liable to get you repeatedly hacked in the face, you don’t need to wearily restart the game. Those of us who lack strategic forethought can consider ourselves lucky – March to the Moon’s skill point assignment is fully undoable. You have to keep the career paths you chose, but any skill points you assigned within them can be removed and reassigned. Stuck with a dragon familiar that isn’t pulling its weight? Get rid of it and put those points into a direct attack skill instead. Finding your heal ineffective? Undo it and try out a buff. The true benefit of this system isn’t simply that it’s forgiving; it also offers the ability to tailor your approach to every level. The game actively encourages replaying levels to gain additional experience and strengthen your character for the battles ahead, but grinding for experience isn’t the only way to overcome a tough level. You might find that a couple of your dependable skills aren’t proving that effective against a particular slew of enemies, but rather than having to just take it on the chin and slog away at grinding, you can give yourself a whole different set of skills for as long as you like, then change them back (or to something different again) later. It is an inspired design decision. I have only two real criticisms of March to the Moon. Firstly, the soundtrack caused much gnashing of teeth and wailing. It improves after a few levels, but the music is mainly rhythm, and more than one level is scored entirely with a piercing, repetitive military drum track that felt like the relentless thudding of someone hammering a stubborn tent peg into my forehead. It actually genuinely gave me a headache. Eventually I resorted to periodically pausing the game and leaving the room, just to get away from the water torture-esque relentless tapping of that sadistic drum. This soundtrack alone has done more damage than any other feature to my enjoyment of March to the Moon. Secondly, the difficulty curve is all over the place. If you’ve ever tried to draw by hand while riding in a 4×4 along a rutted farm track, you will by happy coincidence have sketched the difficulty curve of March to the Moon. It springs whimsically back and forth between surmountably modest difficulty and bone-searing savagery. Many levels require a few replays to accrue some more health and stronger powers, but every now and then you’ll hit a level than demands an hour or more of grinding the same five minute section over and over. Sometimes even rebuilding your character doesn’t help all that much, and even when it does, constructing and testing half a dozen builds just to pass one level can begin to wear thin. Some might want to tack on a third criticism, so I’ll mention it even though it doesn’t really bother me. The visual presentation is pretty uninspiring, with drab backgrounds and amateurish character sprites, and I know for some people this is enough to condemn a game to the bin. For me it doesn’t really matter, though; I still play old games that would make a gangrenous tonsil look like sunset over the Himalayas. March to the Moon is definitely a curio. A shooter that looks like it should be an action adventure, with a skill system that is detailed enough to embarrass some RPGs and customisable enough to inject strategy into a genre that isn’t known for it. It’s a grower, that fails to engage at first but quickly peels off layers of itself to reveal surprising complexity that makes it not only worth playing but worth replaying. There’s a lot to enjoy here, provided you can squint past the dingy amateur visuals and stuff your ears with enough small animals to block out the relentless snare drum soundtrack as you March to the Moon. Xbox Live Indie Games has made itself a haven for various things, not all of them good. It’s particularly infamous for the malformed abominations churned out by certain apathetic developers with a taste for easy money. Among the more worthwhile types of game that have made the indie channel their home are retro 2D shooters and genre-twisting experiments. Birth Order grabs at both of these and hopes for the best. I never really got into scrolling shooters the first time round. The likes of R-Type were mighty names that loomed on the fringes of my gaming awareness but never crossed my path. 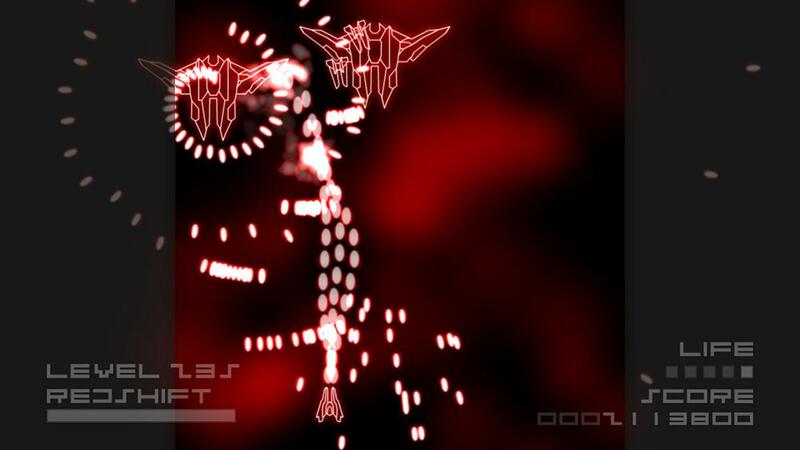 In that sense, I come to XBLIG shooters as a combination of fresh-faced shooter newbie and wizened gaming veteran. To my eye, Birth Order manages to do a lot of things right and I applaud its efforts. From the outset Birth Order plays its cards close to its chest. 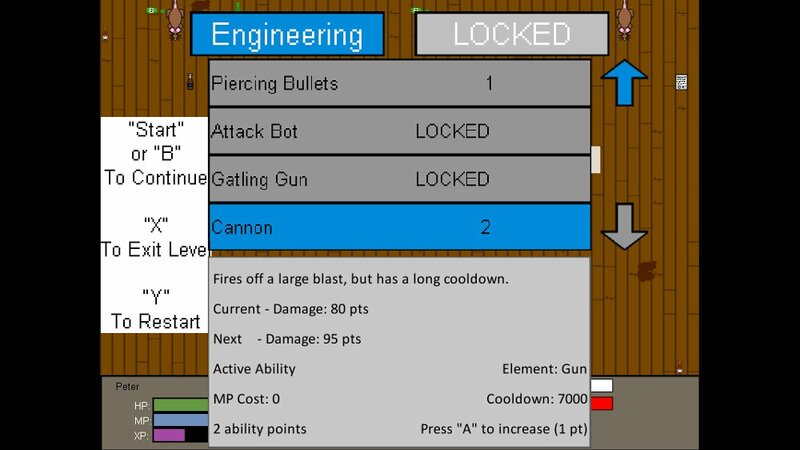 The short tutorial explains the basic shooting mechanic well enough – enemies are marked with an image of one of the face buttons, and you must press the corresponding button to shoot at them. 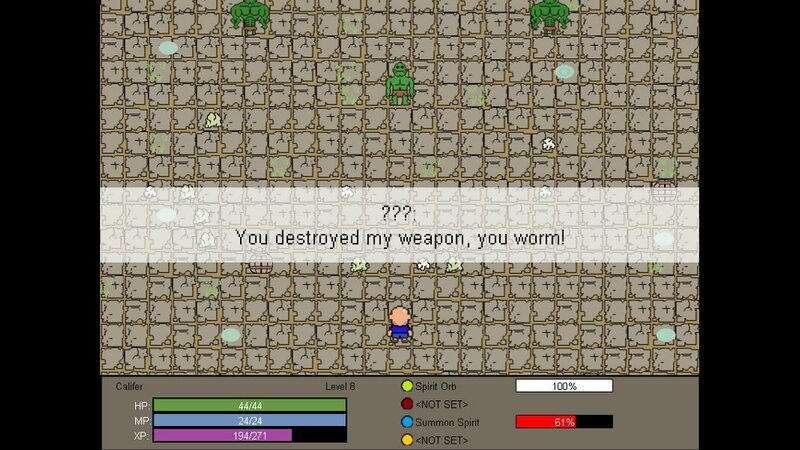 Your weapon auto-aims at the relevant enemies, leaving you free to focus on dodging incoming fire and deciding which enemy types to prioritise. Weirdly, this is the only thing the tutorial shows; all the other features and quirks have to be worked out for yourself. None of it is particularly baffling, but it’s an odd choice to have a tutorial that explains nothing except the one thing that doesn’t really need explanation. The other odd feature that’s never really discussed is cards. It doesn’t take long to notice that enemies occasionally drop what appear to be playing cards, and it’s absolutely imperative to pick these up whenever possible. Your card collection can make the difference between success and failure, not just overall but in each individual level. Cards are accessed from the map/board screen, and have a variety of effects. Most will give you a bonus effect for one level, such a shield or a drone that grants you additional firepower. 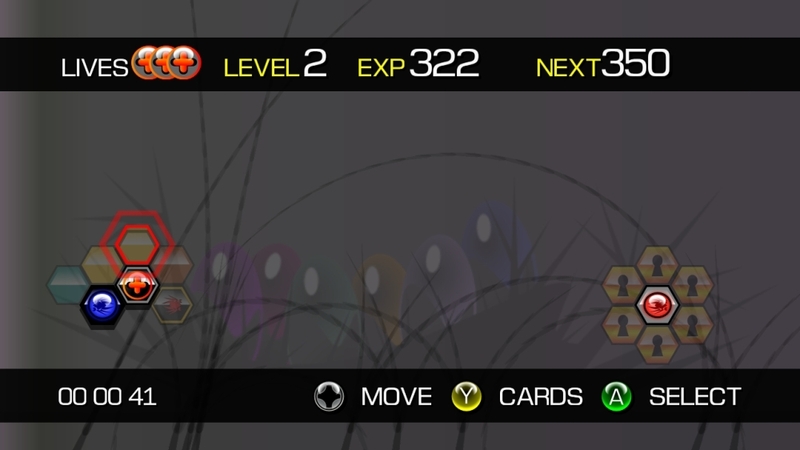 With no way to tell which levels will be tranquil walks in the park and which will be auditions for Ikaruga, you have to guess based on gut instinct, and it can be frustrating to use your last shield card on a level that a sleepwalking five year old could have completed playing only with their feet. Other cards are more permanent. They might expand your ship, lay waste to a section of the board or bestow some of the mysterious stars that you’ll collect throughout the game (it’s not clear what stars do, but they’re shiny). Perhaps the most important form of card can only be obtained from the bosses that roam the board like belligerent drunks looking for a fight with the birthday boy. Assuming you can take them down (which often requires a card or two, at least for me) you’ll gain a key card which removes one of the locks around your brother’s treehouse—er, I mean evil lair. I don’t know what happens once all the locks are gone, because I’ve never got that far. Birth Order is hard, let’s not be coy about it. The weird part of the difficulty is that it’s so erratic. The exact layout of the board and the contents of each level are randomised each time you play, so although the game does broadly start get harder as you go along, sometimes the first few levels will be surprisingly brutal just thanks to the randomisation factor. 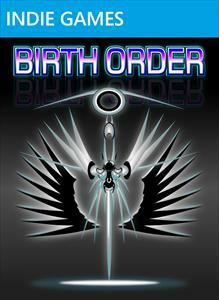 Despite its quirks of unpredictable difficulty and lack of explanation, Birth Order is easy to recommend to those of you who enjoy 2D shooters. Even those who don’t might find enjoyment here anyway thanks to the replacement of shooter standards with button-matching and card-collecting elements. At 80 Microsoft points, Birth Order is both one of the better XBLIG shooters and one of the more successful gameplay experiments. Wait, don’t run away! This isn’t a Virtual Boy game, however much it looks like one! Admittedly it is very red, and it has a similar minimalist style that looks almost old-fashioned, but it won’t cause your brain to catch fire after ten minutes. With that conspicuous element covered, let’s get down to business. Redshift is a vertically scrolling shooter leaning towards bullet hell, and though it mainly doesn’t do anything too astonishing, it has a couple of nice touches that set it apart. You control a small space fighter that flies up the screen into waves of enemy fighters that shoot at you in completely illogical patterns. I’ve never understood what enemies in bullet hell shooters are thinking. Is their job so boring that they have to construct an elaborate labyrinth of projectiles in the shape of a camel just to get one guy? 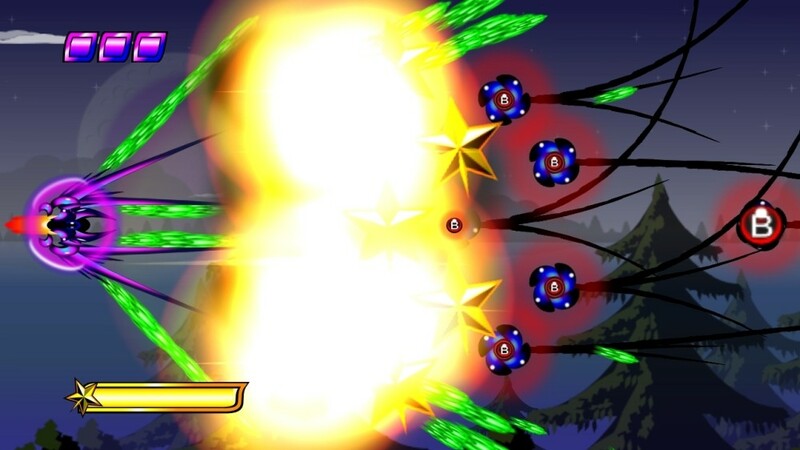 After a few of these waves, you come up against a boss enemy that fires in complex and overlapping patterns requiring patience and precision flying. This is where Redshift’s first feature comes into its own. The regenerating ‘redshift’ gauge in the corner of the screen gives you access to two powers. One is a slow-motion effect that gradually depletes the bar as you use it. The other is a bomb that clears away all enemy shots in its blast radius but expends the entire redshift bar, leaving you without access to either power for a little while. I find the slow-mo power by far the more useful of the two. It gives you time to see where you should go to dodge incoming shots, and enables you to weave through tiny gaps that you would never attempt at full speed. The most striking design choice other than the love of red is offering the player a choice of 300 levels. Yes, 300 – a huge selection for any game, and certainly for an indie. They ascend in difficulty from pretty straightforward (though not too easy, at least for a bullet hell Forrest Gump like me) to punishingly tough, and you can start at whichever point you like. If the low levels are too easy for you, feel free to start yourself at level 10, or 50, or anywhere up to and including the final level. Don’t worry that you’ll be missing out on chunks of the game. You won’t – which is Redshift’s biggest problem. 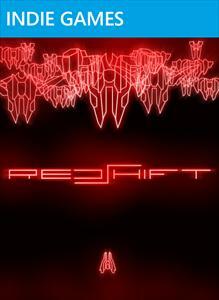 Redshift isn’t really a game with 300 levels. It’s a game with one short level and 300 difficulty settings. I still like it as an idea, but it does mean that you’ll never play the game for long, and you probably won’t revisit it very often. Replaying the same level over and over with slight increases in difficulty gets old after a while. You can still play Redshift like a normal game – any lives you lose on a level remain lost for as long as you continue that particular play session – but would you ever want to play one level 300 times? Even with seemingly randomised waves of enemies, the lack of variety holds the game back. Having said that, I found that Redshift’s design choices give it quite a unique role: it’s a bullet hell training course. Thanks to my use of the time-slowing power here, I’ve found I’m getting better at seeing how to thread my fighter through narrow spaces, and this has carried over to other games. 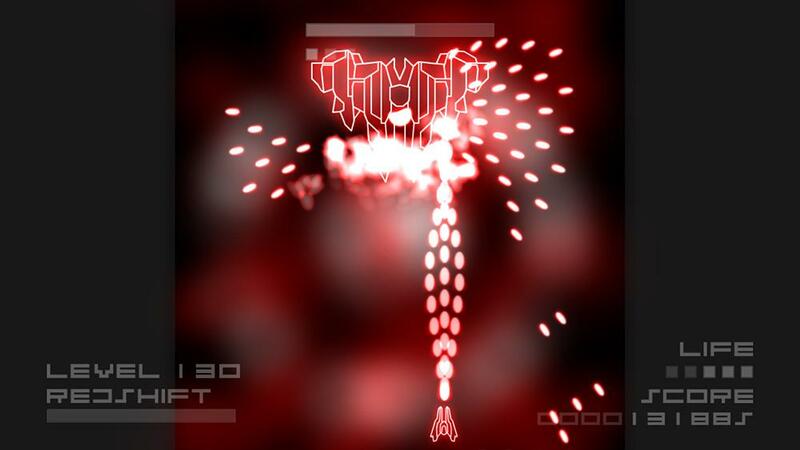 After spending some time with Redshift, my performance was better when I went back to other bullet hell games like the insanely challenging Vorpal. 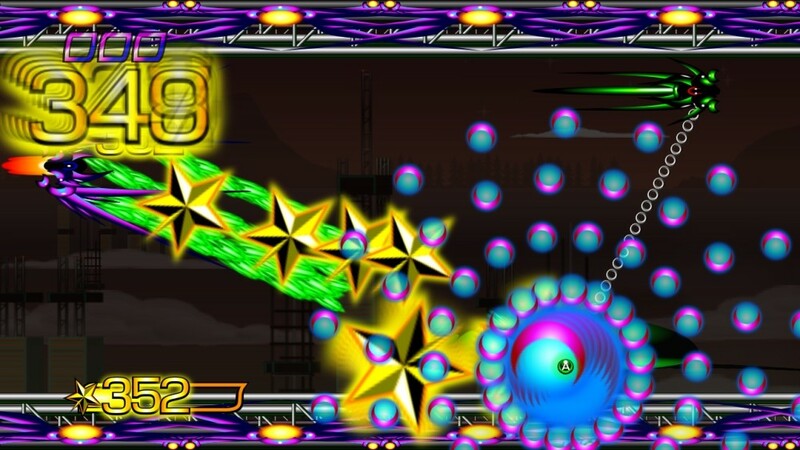 Redshift College’s ‘Dodge Your Way to Success’ programme refines your bullet hell skills through gradual development. Slow-motion combat teaches you precision manoeuvres, and our graded level of challenge that can start and end wherever you like, from beginner up to professional, means there’s always something for you to learn. 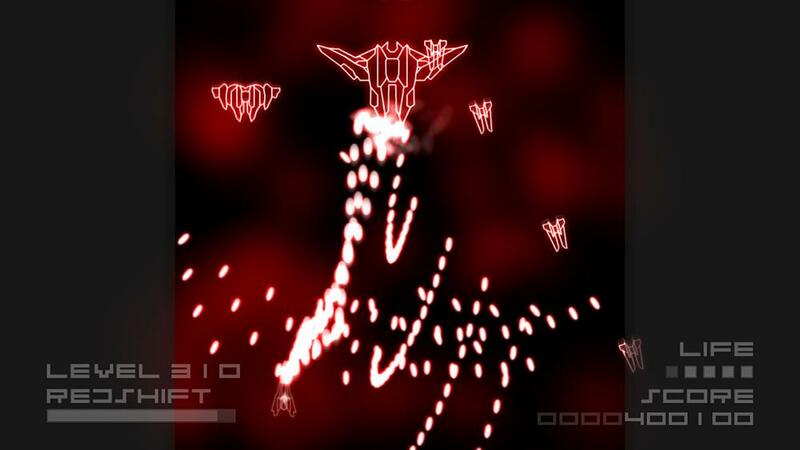 Redshift is a great starting point for people who don’t have the reflexes of a caffeinated cheetah to gradually get into bullet hell games and difficult 2D shooters. Veterans won’t find much to satisfy them here, though, and even novices will want to play a different level sooner or later. Enter your email address to get my scathing critiques and cheery musings sent right to your inbox. Indie Gamer Chick Kairi Vice douses lazy indie games in acid. Gear-Fish Insightful and occasionally acerbic reviews and news, both indie and mainstream. Name/Job/Bye Opinionated nerdery from the elegant JazFusion. The XBLIG Short, digestible reviews of Xbox indie games. The Indie Mine I write some reviews at The Indie Mine. Albatross Revue I write some reviews, a monthly column and occasional editorials at Albatross Revue. Clearance Bin Review Everything you need for gaming, music and films in one handy package. Also at least one good artist.